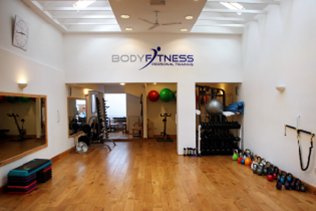 Our Personal Trainers are highly-qualified weight loss, corrective exercise and strength coaches, who have all the facilities and equipment they need within the studio to deliver both results and an extremely enjoyable, stimulating and varied workout experience for our clients. 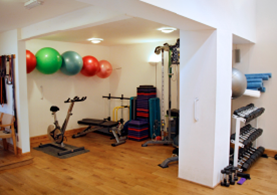 Our private studio is based in the Archway House Natural Health Centre – set in beautiful surroundings just outside Market Harborough. 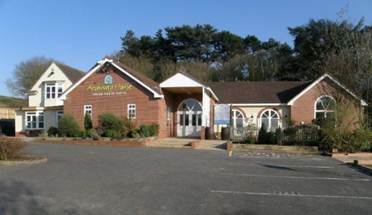 Archway House Natural Health Centre was established in 1997 and helps people from Market Harborough and across Leicestershire, Northamptonshire and the whole of the Midlands. It is very easy to access and we have plenty of parking, a private shower room and access to private rooms for the coaching component of your programme. More importantly, we have access to a number of complimentary therapies to support our foundational health Principles and Holistic model via Archway’s skilled and experienced practitioners. This range of services includes Acupuncture, Aromatherapy, Chiropractic, Counselling and Psychotherapy, CranioSacral therapy, Health Kinesiology, Homeopathy, Hypnotherapy, Herbal Medicine, Nutritional therapy, Reflexology, Reiki, Shiatsu, Sports Massage, Structural Integration and Zero Balancing. We also offer rehabilitation, injury recovery, performance improvement and corrective exercise for many sports injuries and other conditions.